Our studio in Southwark was set up by Tom Lewith, Doug Hodgson and Owen Jones. In the early years, all three were equal forces behind the growth and ambition of the practice, and this is reflected in the practice name – TDO. The studio is now led by Tom and Doug. Doug and I bring different perspectives and strengths to the practice, and our clients appreciate our contrasting skills and the breadth of knowledge and input we bring to our projects. We’ve been close friends since before we set up TDO, and we understand – and trust – each other implicitly. It’s an excellent basis for running the practice and establishing good relationships with our clients. I relish the early, ‘big-picture’ stages of a project – when Doug and I get to know our clients and their brief, come up with concepts, and see a project begin to take shape. Doug’s great strength is staying true to our vision and maintaining every detail of the design, whatever the pressures and outside influences. His focus and determination benefit us all. I’ve become increasingly interested in the strategic changes in architecture, and especially in off-site manufacture and the possibilities this opens up. Fab House shows that we’re making a very real contribution to this sector, and that we have the skills, knowledge and resolve to achieve ambitious multi-unit schemes. I’ve always admired Tom’s ability to get so much done within a day, and his productivity means that we’re always moving forward and making things happen. He’s also an excellent listener, which both our clients and colleagues appreciate. We share a strong sense of clarity about following through on our design principles and concepts. At Old Church Street we were faced with a particularly challenging planning situation which threatened to change aspects of our design, but the finished building is absolutely true to our vision. It’s important to me that we achieve the detail that we see as integral to a project. But TDO is as much about our team as it is about us. We encourage and appreciate each person’s strengths and design skills, and I’m always looking at ways in which we can make our studio even more of a supportive, creative and collaborative environment. 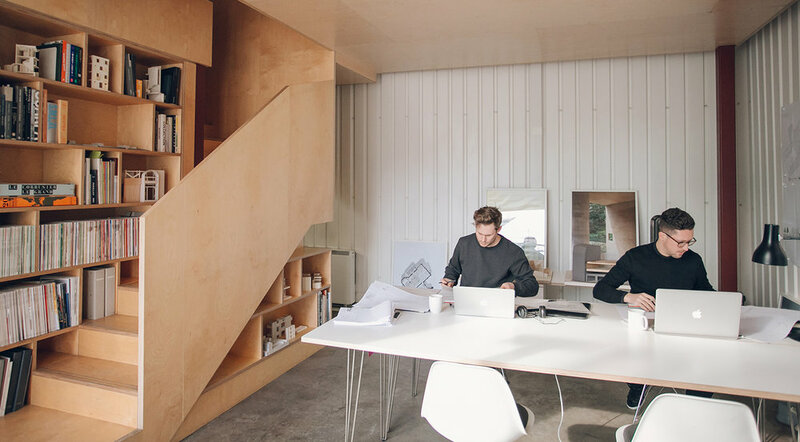 Having co-founded TDO with Tom and Doug my growing interest in offsite and modular construction led me to take up the role of head of design at MOBIE, an educational charity developing modern methods of construction. The focus and skills of each company are highly complementary. This intelligence puts TDO at the cutting edge of the intersection between architecture and this emerging world.